I have written before about a lesson in Risk Management in the story we celebrate at Eastertide. If you think that RM is something someone invented recently, have another think. It is only the name that is in any way new. We know that people have managed risks in various ways all down the ages, because we wouldn’t be here if they hadn’t. Just because something has been around for thousands of years, it doesn’t have to be irrelevant. There are lots of lessons in the Bible that are relevant today, whether you believe everything in it or not, and it might help you in your business or in your personal life. Go on! Read it and see. Does the story of Eastertide oppose innovation? NO! They crucified Jesus for challenging the out-of-date ideas of the religious and political leaders of his day. We should be prepared to think about new ways of doing things, or even doing new things. I just don’t want us to throw out the baby with the bathwater. 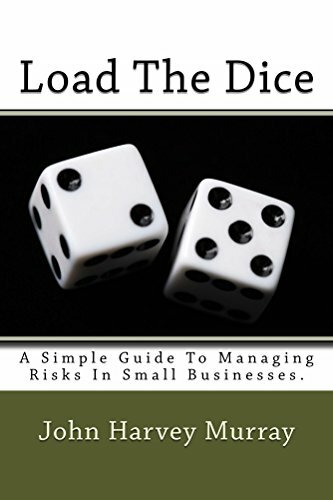 Can you find time to think about the way you manage the risks in your business and perhaps ask if you should review anything else in your life? Remember Thomas who questioned what the other disciples told him, and remember to ask the right questions. Once, robots were popular in science fiction and they gave you nightmares. As scientists developed robotics in the real world, people began to worry. Would the nightmares come true and the machines got out of control or even developed their own agenda? How could humans remain in charge? In recent years, a huge improvement in the capability of robots has occurred. They can walk on legs, rather than roll on wheels, and can cope with stairs and slopes. They can respond ever more subtly to their environment, because people have applied the science to real problems to make robots useful. What are the risks associated with robotics? You probably won’t be able to dispense with human beings just yet. What are the psychological risks of using robotics? Complacency: you can too easily assume robots are infallible. Overcompensating: you can put too much effort into managing what may, objectively, be minor risks. What is the biggest risk created by robotics? Because computers control most robots, there is not only the risk of an IT failure, but there is the additional risk of hacking. If someone unknown to you could give instructions to all your computer-controlled machines, they could sabotage your business or hold it to ransom. You need to apply cyber-security to any robotic technology you use in your business or even in your home. Do you want someone to be able to turn your central heating off for a prank? Is it time to re-read what I have written about the cost of cybersecurity? Should you eliminate the risks by not using robotics? It depends on the nature of your business and whether robots improve the service you provide and/or save you a lot of money. Generally, I advise clients to manage risks rather than avoid them, where the risks are linked to opportunities. Let’s not be afraid of robots, but let’s make sure we are the ones in control. As far as I know, there are only a few pilot schemes in certain police forces for using algorithms at present, but other forces have begun taking an interest. It is likely that the trend will grow. Surely, we should all welcome anything that helps police forces target resources more efficiently (or do I mean effectively? See my article on the 3 E’s) . How can algorithms help fight crime? They can analyse data and predict where and when specific types of crime are likely to happen and who are the most likely people to commit them. The police hope they can target their preventive measures better and can identify suspects sooner. So, can algorithms make the police work smarter? Possibly. But this is not as clever as you might think. All these algorithms do is analyse data and make predictions based on the assumption that the past is a good guide to the future. Ask yourself: how true is that in your business? It will also depend on someone collecting, analysing and inputting the data correctly in the first place. Police officers are only human, as are police support staff. An old-fashioned detective – would algorithms help him? What are the risks of using algorithms? Firstly, some civil rights campaigners are afraid this could lead to increased harassment of people with criminal records and make rehabilitation harder. Secondly, where policing has been ineffective in the past, there may be under-reporting of crimes. The use of such techniques will tend to maintain this imbalance. Fourthly, algorithms may be slow at recognising new trends. As I thought about this, I remembered my article about the use of claims databases by insurers. Although I wrote that some time ago, I think it is highly relevant. 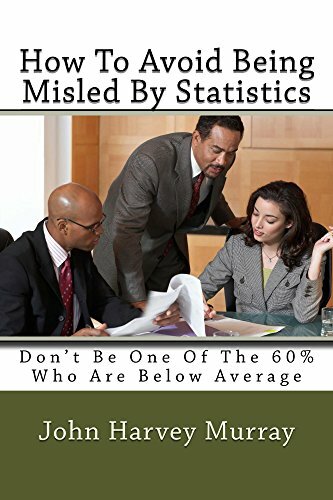 You might also find my book on the risks of being misled by statistics relevant in thinking about this. What algorithms do you use in your business? I am all for everyone managing his or her business as efficiently and effectively as possible. If any sort of IT saves time and directs people’s efforts better, it’s a good thing. But please don’t let it be your master, when it should be your servant. Encourage people to think! Some people fight crime without algorithms or databases. If you are interested in other approaches to crime-fighting, you might like to read what I wrote about that on my other website as a crime-fiction writer.